Huston Cummings Smith (May 31, 1919 – December 30, 2016) was a religious studies scholar in the United States. He wrote more than a dozen books, including The World's Religions (originally titled The Religions of Man) which sold over two million copies and remains a popular introduction to comparative religion. Born and raised a Methodist, Smith studied and practiced many of the world's major religions. His writings explain the value of each faith not merely on the academic level but share the experience of each as one who has lived them. Smith noted many common essential aspects among the world's faiths, including the reality of the divine, the existence of the human soul or eternal spirit, and the value of compassion and love. At the same time, he warned that extracting and reducing religious practice to only these values loses the beauty and mystery of faith that nourishes human beings. Huston Cummings Smith was born in Suzhou, China on May 31, 1919, to Methodist missionaries. His family moved to the city known as Zang Zok which he referred to in his memoir as "a cauldron of different faiths." He spent his first 17 years there, "in a home saturated in religion." He credited his faith to his missionary parents who had "instilled in me a Christianity that was able to withstand the dominating secular culture of modernity." After completing high school, Smith left China for the United States planning to become a missionary. He studied at Central Methodist University in Missouri, and was ordained as a Methodist minister. He chose the path of academia over preaching and enrolled in the University of Chicago Divinity School. In 1943 he married his professor's daughter, Kendra Wieman. They had three daughters, Karen, Gael, and Kimberly. As a young man, Smith suddenly turned from traditional Methodist Christianity to mysticism. In 1947, before moving from Denver to St. Louis, Smith set out to meet with then-famous author Gerald Heard. Heard responded to Smith's letter, inviting him to his Trabuco College (later donated as the Ramakrishna Monastery) in Trabuco Canyon, Southern California. Heard made arrangements to have Smith meet the legendary author Aldous Huxley. Smith was told to look up Swami Satprakashananda of the Vedanta Society once he settled in St. Louis. So began Smith's experimentation with meditation and association with the Vedanta Society of the Ramakrishna order. Smith developed an interest in the Traditionalist School formulated by René Guénon and Ananda Coomaraswamy. This interest has become a continuing thread in all his writings. Due to his connection with Heard and Huxley, Smith went on to meet Timothy Leary, Richard Alpert (Ram Dass), and others at the Center for Personality Research, where Leary was research professor. The group began experimenting with psychedelics and what Smith later called "empirical metaphysics." The experience and history of the group are described in Smith's book Cleansing the Doors of Perception. During his life, Smith not only studied but also practiced Vedanta (studying under Swami Satprakashananda, founder of the St. Louis Vedanta Center), Zen Buddhism (studying under Goto Zuigan), and Sufi Islam for more than ten years each. Hatha yoga was part of his daily spiritual practice into old age. He kepy the Muslim fast of Ramadan and observed the Jewish Passover, while at the same time remaining Christian, in his words: "I never canceled my subscription to Christianity." Smith died at his home in Berkeley on December 30, 2016, at the age of 97. He was survived by his wife, Kendra, his two daughters, Gael and Kimberly (Karen had previously died of cancer), three grandchildren, four great-grandchildren; and his brother Walter. Smith taught at the University of Denver from 1944 to 1947; then at Washington University in St. Louis, Missouri, for the next ten years. He was then appointed professor and chair of the philosophy department at the Massachusetts Institute of Technology (MIT) from 1958 to 1973. While there, he participated in experiments with psychedelics that professors Timothy Leary and Richard Alpert (aka "Ram Dass") conducted at Harvard University. He then moved to Syracuse University, where he served as Thomas J. Watson Professor of Religion and Distinguished Adjunct Professor of Philosophy until his retirement in 1983 when he was awarded emeritus status. He and his wife moved to Berkeley, where he taught part-time at University of California, Berkeley for another ten years. As a scholar, Smith wrote and published over a dozen books, including the World's Religions (originally titled The Religions of Man) which has served as a standard college textbook and a popular introduction to comparative religion. In addition to his own writings, Smith served on the editorial board and was a general consultant to the World Scripture: A Comparative Anthology of Sacred Texts. This was a five-year project of the International Religious Foundation which involved the collaboration of an international team of recognized scholars representing all the major religions of the world. Smith was part of the Harvard Psilocybin Project, an attempt to raise spiritual awareness through entheogenic plants. During his tenure at Syracuse University, he was informed by leaders of the Onondaga tribe about the Native American religious traditions and practices, which resulted in an additional chapter in his book on the world's religions. In 1990 the Supreme Court ruled that the use of peyote as a religious sacrament by Native Americans was not protected under the US Constitution. Smith took up the cause as a noted religion scholar. With his help in 1994, Congress passed the American Indian Religious Freedom Act amendment, providing legislative protection to a religious practice that the Supreme Court had decided lacks constitutional protection. While at Washington University, Smith was the host of two National Educational Television series (NET – the forerunner of PBS): The Religions of Man and Search for America. In 1996, Bill Moyers devoted a five-part PBS special to Smith's life and work, The Wisdom of Faith with Huston Smith. Smith produced three series for public television: The Religions of Man, The Search for America, and (with Arthur Compton) Science and Human Responsibility. His films on Hinduism, Tibetan Buddhism, and Sufism all won awards at international film festivals. In 1964, during a trip to India, Smith stayed in a Gyuto Tibetan Buddhist monastery. During his visit he heard the monks chanting and realized that each individual was producing a chord, composed of a fundamental note and overtones. He returned to record the chanting in 1967 and asked acoustic engineers at MIT analyze the sound. They confirmed the finding, which is an example of overtone singing. Smith has called this the singular empirical discovery of his career. The recording was released as an LP titled Music of Tibet, and later released on CD. Royalties from the sales go to support the Gyuto Tantric University. Smith is best known for his introduction to the world's religions, already a standard college textbook in its first incarnation as The Religions of Man (1958) and then revised, expanded, and retitled The World's Religions in 1991. This book has been called "the most important book in comparative religious studies ever," and led to Smith being considered one of the "three greatest interpreters of religion for general readers in the second half of the twentieth century," the other two being Joseph Campbell and Ninian Smart. For his lifelong commitment to bringing the world’s religions together to promote understanding, social justice and peace, Smith received the Courage of Conscience Award from the Peace Abbey in Sherborn, Massachusetts. He was named one of the first recipients of the Order of Universal Interfaith and Universal Order of Sannyasa's "Interfaith-Interspiritual Sage Award" in January 2010, and received the award at his home on February 23, 2010. 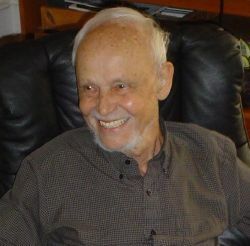 The Pacific Coast Theological Society celebrated "the lifetime of achievements of Professor Emeritus Huston Smith by considering the relationship between theology, mythology, and science" in a special session in 2012. In 2015, the society presented Smith with their Codron Prize for The World's Religions. Smith influenced numerous scholars during his long career. Warren Lewis, professor of Church History, noted that the first book he read on world religions was Smith's and he credited Smith with his own ability to "transcend the cultural confines of my childhood religion, and embrace fellow travelers in our common journey back to the stars. ... The ripples in the cosmic pond that float outward from where Huston Smith made his splash, reach the far shore." "If we take the world's enduring religions at their best, we discover the distilled wisdom of the human race." " Religion is institutionalized spirituality. ... Institutions are not pretty. Show me a pretty government. Healing is wonderful, but the American Medical Association? Learning is wonderful, but universities? The same is true for religion." "The goal of spiritual life is not altered states, but altered traits." ↑ Huston Smith, Tales of Wonder: Adventures Chasing the Divine (HarperOne, 2010, ISBN 978-0061154270). ↑ Bryan Marquard, Huston Smith, 97, author and explorer of faiths The Boston Globe, January 19, 2017. Retrieved February 10, 2017. ↑ Huston Smith, The Soul of Christianity: Restoring the Great Tradition (San Francisco: HarperSanFrancisco, 2005, ISBN 978-0060794781), 167. ↑ Huston Smith, Why Religion Matters (Harper-Collins: San Francisco, 2001). ↑ Huston Smith, A Second Conversion The Gerald Heard Official Website. Retrieved February 3, 2017. ↑ Huston Smith, Chapter 5—Empirical Metaphysics Ralph Metzner (ed. ), The Ecstatic Adventure (The Psychedelic library, 1968). Retrieved February 3, 2017. ↑ Mary Rourke, Huston Smith, pioneering teacher of world religions, dies at 97 Los Angeles Times, January 5, 2017. Retrieved April 3, 2017. ↑ Huston Smith and Reuben Snake, One Nation Under God: The Triumph of the Native American Church (Clear Light Books, 1998, ISBN 978-1574160062). ↑ Huston Smith telling story of recording at YouTube Retrieved February 3, 2017. ↑ Anil Mundra, Gyuto Monks: Ancient Practice, Modern Sound NPR, March 24, 2009. Retrieved February 3, 2017. ↑ Music of Tibet Official Website of Recording Retrieved February 3, 2017. ↑ Douglas Martin and Dennis Hevesijan, Huston Smith, Author of ‘The World’s Religions,’ Dies at 97 The New York Times, January 1, 2017. Retrieved April 3, 2017. ↑ The Peace Abbey International Courage of Conscience Recipients List Peaceabbey.org. Retrieved February 3, 2017. ↑ The Order of Universal Interfaith Ordinations and Awards Ouni.org. Retrieved February 3, 2017. ↑ Pacific Coast Theological Society, Honoring Huston Smith: Mythology in Theology and Science Spring Meeting 2012, April 13-14, 2012. Retrieved April 3, 2017. ↑ Brandon Williamscraig accepts the Codron Prize for Huston Smith Retrieved April 3, 2017. ↑ Cabot Peterson, Remembering Prof. Huston Smith (1919-2016) UTS News, January 10, 2017. Retrieved February 10, 2017. ↑ Pamela Johnson, TV & Film: The dilution delusion World Magazine, April 20, 1996. Retrieved February 3, 2017. ↑ Marilyn Berlin Snell, The World of Religion According to Huston Smith Mother Jones, November/December 1997. Retrieved February 3, 2017. ↑ Huston Smith and Phil Cousineau, The Way Things Are: Conversations With Huston Smith on the Spiritual Life (University of California Press, 2003, ISBN 9780520238169), 97. Marquard, Bryan. Huston Smith, 97, author and explorer of faiths The Boston Globe, January 19, 2017. Retrieved February 10, 2017. Huston Smith article for CDSP Huston Smith and Brandon Williamscraig. This page was last modified on 20 January 2018, at 16:44.